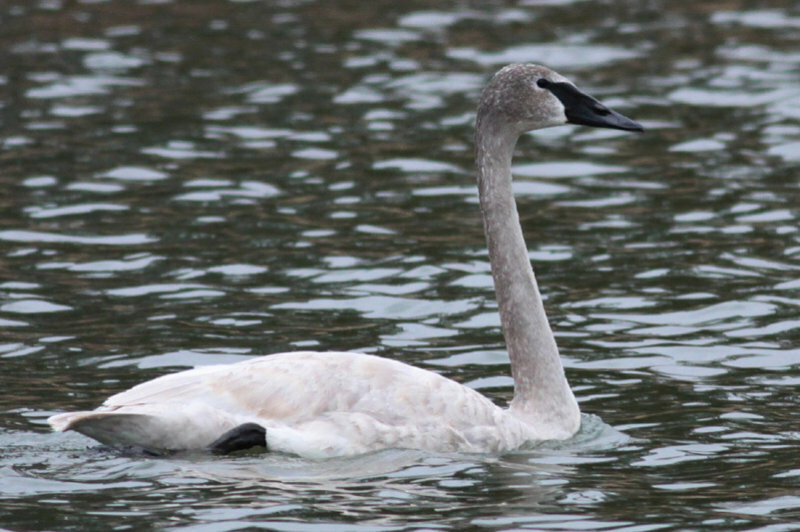 This shot shows the Major Body Axis well that Jeff has already pointed out with his photos this winter of both Trumpeter and Tundra Swans. The tail rides very low in the water on this Trumpeter. The big flat bill is evident here, and once again the wide area of skin adjoining the eye to the bill. One character about this bird that goes against the grain of what is often written in field guides is the shape of the feathering at the base of the bill. Many of the field marks of these birds are somewhat variable, so it takes a combination. This mark, for me anyway, isn't one of the primary indicators; nice if it works, but not a deal-breaker if it doesn't.